Microsoft’s Garage division, the software giant’s experimental unit which works on innovative mobile projects and experiments, has finally released its Favorites Lock Screen app for Android users in India, and it is now available to download from the Play Store. The Favorites Lock Screen app, as its name clearly suggests, is a lock screen application which is centered around a user’s areas of interests such as ‘favorite’ celebrities, sportsperson, events, etc. 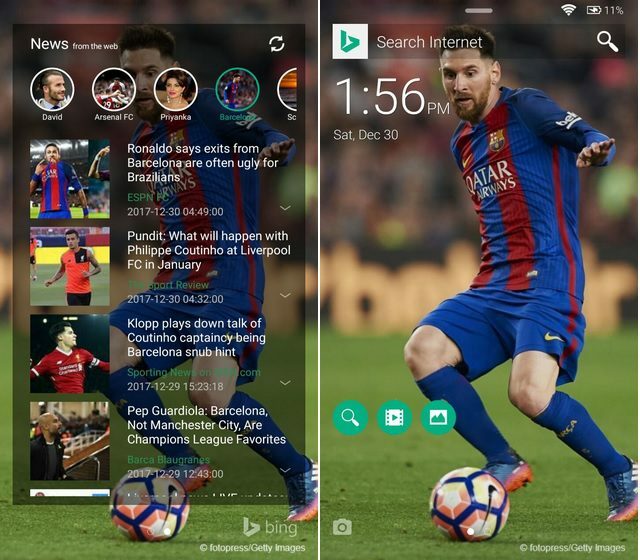 But it also allows users to create a personalized experience revolving around their passions and interests by keeping them updated with the latest news and trends on the lock screen itself. Search: Tapping the search icon opens the latest news related to the celebrity whose wallpaper is splashed across the lock screen. Picture: It opens the pictures of the celebrity whose image is on the user’s lock screen. Video: This option opens the new and trending videos associated with the popular figure whose photo is adorning the lock screen page. 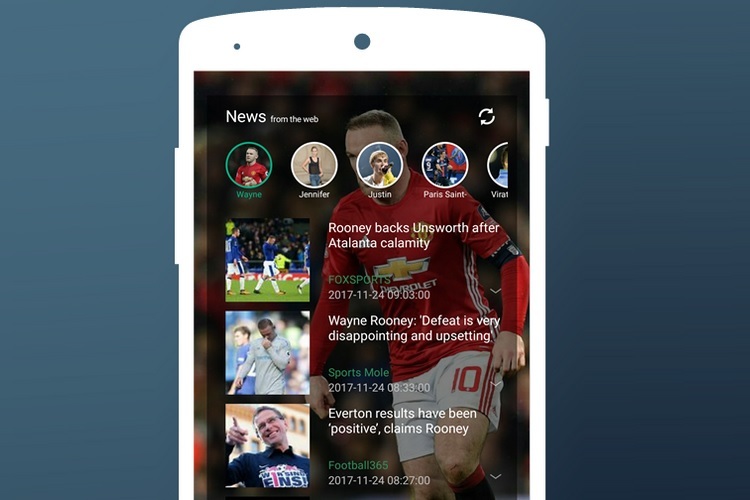 The lock screen’s second page, which can be accessed by swiping left on the screen, is populated by a collection of icons representing different personalities at the top, followed by the latest news related to whichever celebrity’s icon is selected by the user. Moreover, users can choose from a wide array of categories like sports, animals, nature, actors, and musicians among others, and whichever category they select, relevant wallpapers will be downloaded and automatically applied on their smartphone’s lock screen. But the Favorites Lock Screen is not only about aesthetics, as it allows users to position frequently used features like WiFi, Bluetooth, Flashlight, etc. on the lock screen itself so that they can be accessed with ease without having to unlock the device. Download the Favorites Lock Screen app from the Play Store.